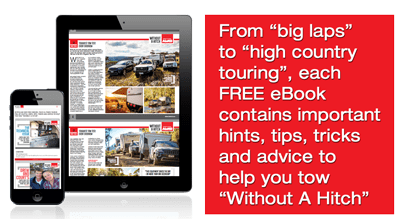 The Great Barrier Reef and Ningaloo Reef in the west are amazing destinations for caravanners. But which offers more? The famous coral reefs that flourish along both sides of our enormous continent offer wildly different experiences for Aussie travellers. 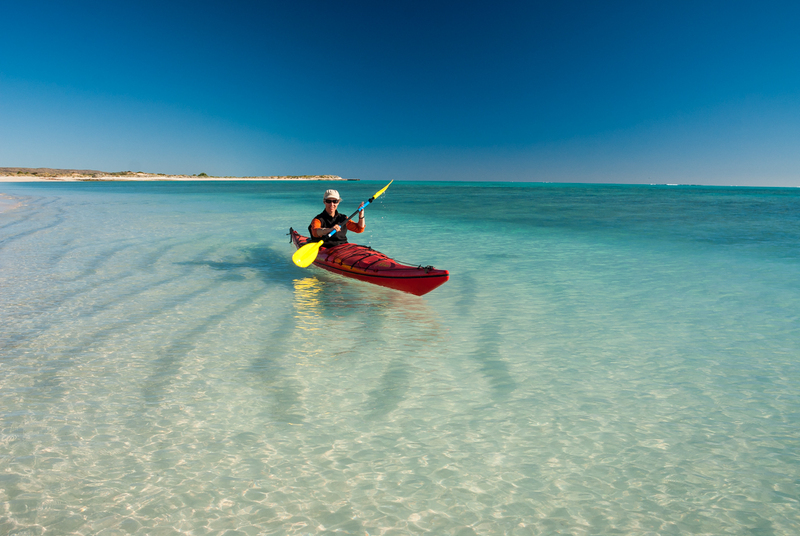 So large you can see it from outer space, Queensland’s Great Barrier Reef is an endless collage of islands, reefs and barely-there sand cays, but the ultra-accessible Ningaloo Reef offers more intimate encounters at an unbeatable price. To find out how Ningaloo sizes up against Australia’s big gun – the Great Barrier Reef – we’ve rated each based on accessibility to the underwater action, affordability and tourist park accommodation so you’ll know what to expect (and expect to pay) when you visit next. Stretching for more than 2000km from Bundaberg to Cape York and made up of 600 islands, 2900 separate reefs and 300 coral cays, this World Heritage Area rates as one of the seven natural wonders of the world. There’s a dizzying number of ways to explore its remarkable diversity of marine life that includes six of the world’s seven turtle species (all endangered), one of the world’s most important dugong populations, and migratory humpbacks and Antarctic and dwarf minke whales. The GBR’s species list is off the charts: 1625 kinds of fish, 350 hard corals, and 133 species of sharks and rays. But it’s the interconnectivity of all these life forms and their habitats that make the Great Barrier Reef one of the worlds most important coral reef ecosystems. 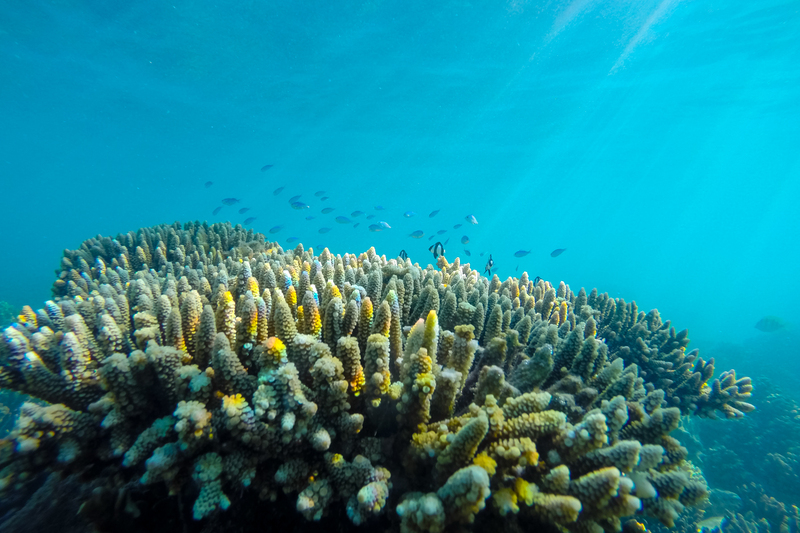 You can access the reef from the hundreds of hotspots along the Queensland coast – all with quality tourist parks – but you’ll need to factor into your budget the extra expense of ferry rides, boat tours and island accommodation. Scenic flights, resort escapes and scuba diving lessons are bucketlist spurges, but there are affordable (under $100 per person) daytrips too. For a cheap thrill, book a secluded national park island campsite for just $5.95/person/night. Fly to Lizard Island north of Cooktown, pitch a tent in the secluded national park campground on Watson’s Bay and spend a week snorkelling the lagoon. Take a 45-minute ferry ride out of Cairns to Fitzroy Island where you can hike to the Secret Garden and snorkel off Nudey Beach, or join one of dozens of day-cruise boats that visit the reefs and reef platforms off Cairns. 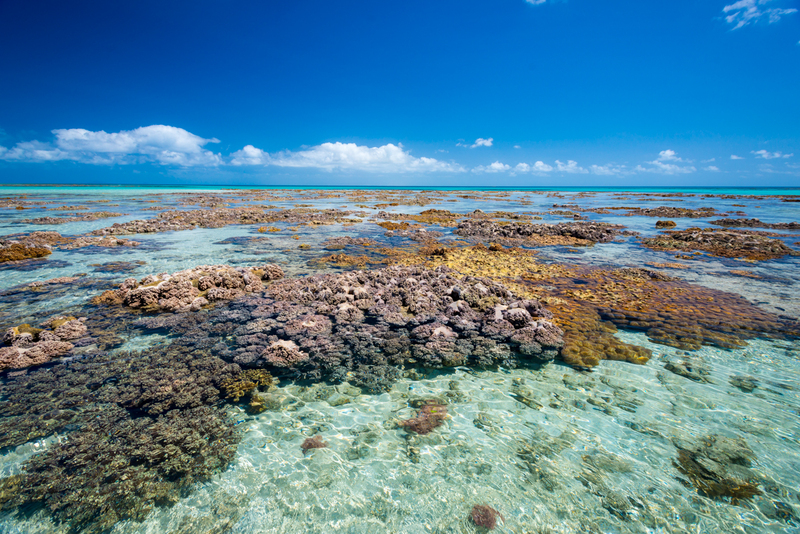 Low Isles off Port Douglas is a favourite getaway, home to a historical lighthouse and fine fringing reefs. Townsville’s Magnetic Island rates as the only island in far north Queensland that you can drive to, offering good snorkeling, top offshore wreck dives, dozens of walking trails and northern Australia’s largest colony of wild koalas. 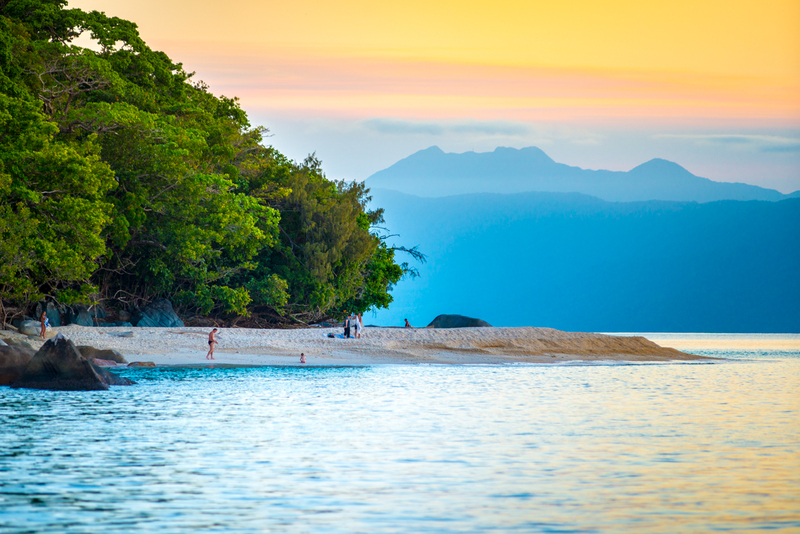 Hinchinbrook Island’s skin-tingling waterfalls, rugged, rainforested peaks and arcing white-sand beaches are all yours, accessible by ferry, tinny or sea kayak out of Lucinda or Cardwell. 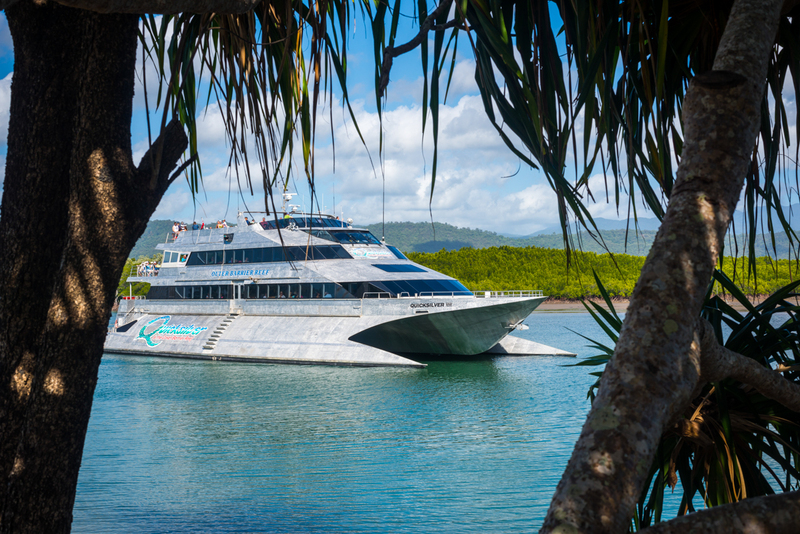 Escape in style to your pick of resorts on Lady Elliot, Lady Musgrave, Herron and Great Keppel Islands (accessible from Rockhampton and Gladstone), or cruise from Airlie Beach to Hayman, Hamilton, Lindeman, Daydream, and North and South Molle islands. 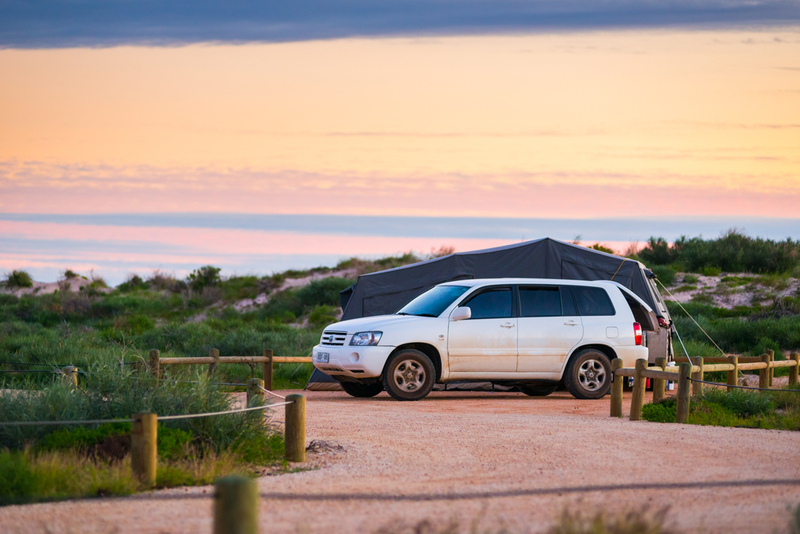 Off WA’s remote Coral Coast where Ningaloo Reef sweeps close to the shore, campers park their rigs at rustic beachfront nooks and walk mere metres to explore Australia’s most accessible coral reef. 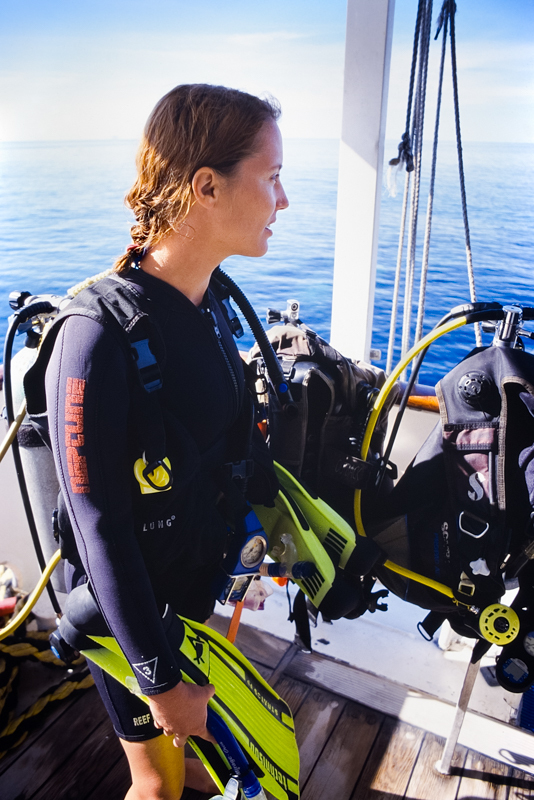 For self-sufficient travellers happy to forgo showers for daily drift dives and enjoy salty happy hours as the sun goes down, this incredible, pristine wilderness offers the most affordable reef experience you are likely to find anywhere in the world. In this remote location, wildlife encounters are mind-blowing, mesmerising onlookers with rarely seen mating rituals, feeding frenzies and close encounters with just-born young. The mass spawning of corals in March and April lure whale sharks – the world’s largest fish – along with manta rays and migrating humpbacks that linger until November when sea turtles return to their birthplaces in the dunes. Snorkel Turquoise Bay’s drift dive, paddle your kayak across calm, see-through seas, surf with dolphins and hike the high trail above Yardie Creek Gorge to spot rare rock wallabies at sunset – all without spending a cent. 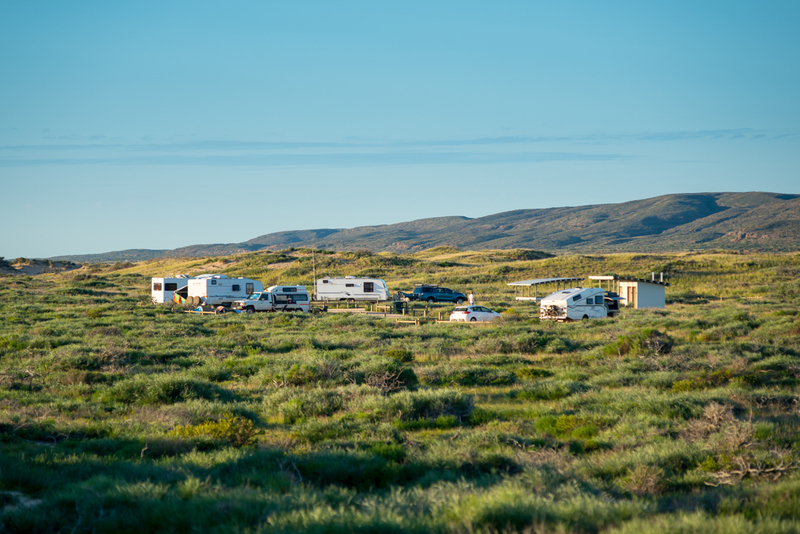 Along with a $12/vehicle park entry fee, campers in Cape Range National Park pay $10/adult, $6.60/concession cardholder or $2.20/child. Outside the park, Lighthouse Caravan Park, Yardie Homestead and Vlamingh Head Lighthouse all offer power and showers. These gentle giants are a big deal at Ningaloo, arriving shortly after the coral spawning in March and April and delighting the swimmers who glide alongside the planet’s largest fish. Day tours priced from $400 (adults) depart from Tantabiddi boat ramp just north of the national park entrance and from Coral Bay too. The north-flowing current that sweeps snorkellers effortlessly across Turquoise Bay reveals stunning underwater scenes: bright, blue-spotted stingrays rising from the sand, timid reef sharks sheltering under rock ledges alive with nudibranchs and coral, and much-admired anemone fish darting in and out of their soft, sticky homes. Other top snorkelling sites include Lakeside – marked by buoys just off the beach north of Turquoise Bay – and the Oyster Stacks where you can watch massive schools of fish sheltering beneath oyster-clad sea stacks at high tide. During September hundreds of green, loggerhead and hawksbill turtles gather in Ningaloo’s shallow blue bays, mating and tumbling in the breakers before exhausted females lumber ashore to rest in clear view of awestruck onlookers. In the weeks and months after, the turtles march slowly into the dunes to dig sand nests and lay their eggs. 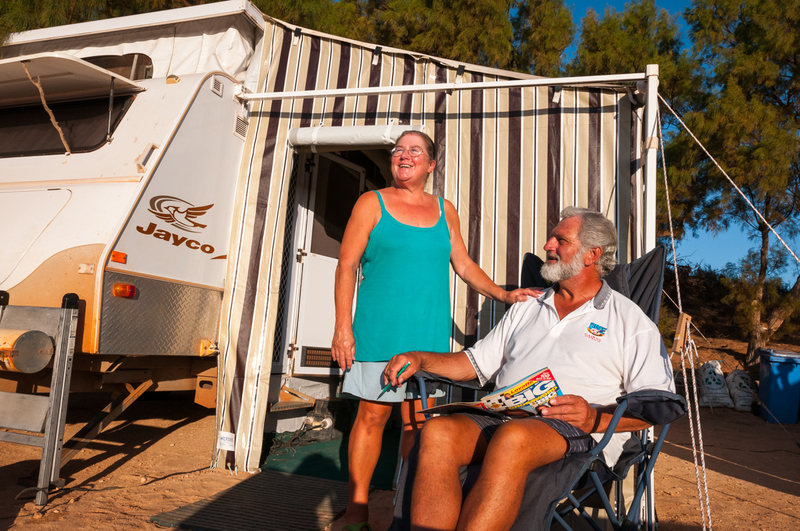 With cafes, convenience stores and caravan parks, Coral Bay provides a more convivial base where power and showers are on offer. Located south of Exmouth, the tiny town tempts with plenty of reef-based tours, including lovely sunset cruises. It’s a quick walk to snorkel Bills Bay or the more impressive coral bombies at Purdy Point’s, Oyster Bridge or the Lagoon. 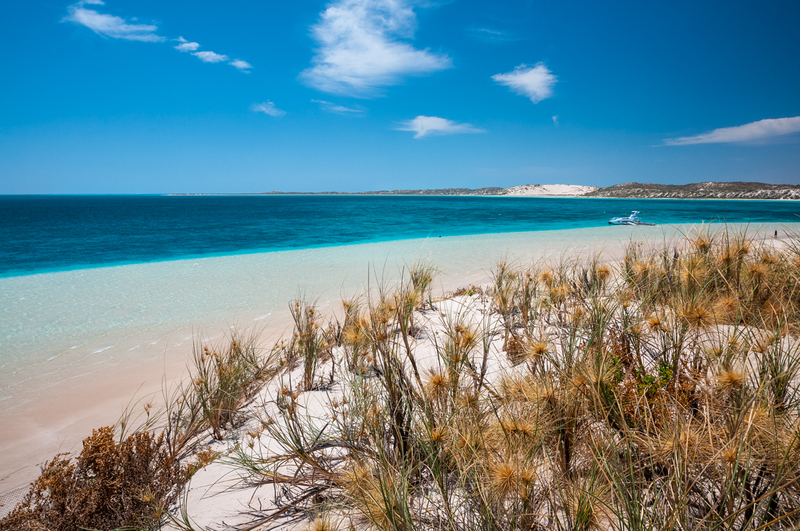 Above all, Ningaloo Reef facilitates intimate wildlife encounters – swimming with whale sharks and observing nesting turtles – and for accessibility and affordability it can’t be beaten. If snorkelling, sea kayaking and hiking are your thing and you don’t mind skimping on showers and shifting the solar panel around camp, you may find this stellar sanctuary difficult to leave. Over on the east coast, you can’t possibly beat the diversity of the Great Barrier Reef’s indulgent five-star escapes, world-class dive sites, sailing trips, and budget island camping adventures. You’ll pay more to play here, but the joy of spending a night on the reef or some truly remote patch of paradise is utterly priceless.